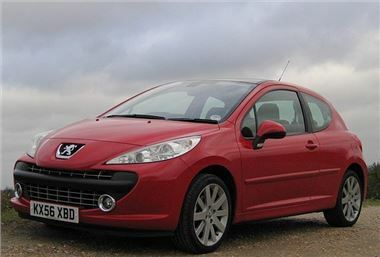 Warranty Direct has revealed that the most reliable 3 - 7 year old car built in Europe is the Peugeot 207. The 207 was launched in 2006, so Warranty Direct has three years of warranty claims figures on which to base this assertion, finding only one in 17 breaking down in an average year. Fiat’s Panda is the second most reliable, with only 14% of owners likely to have to pay for repairs, followed by another Peugeot, the 206 CC, which, as well as needing relatively little attention, is also cheap to repair when it does go wrong, costing on average Â£185 to put right. Warranty Direct managing director, Duncan McClure Fisher, said: “Some people might be surprised to see Fiat and Peugeot claiming the top three positions, but the data doesn’t lie - these cars are very dependable - It’s perhaps less surprising to see a couple of VWs in the top 10. *Cars made by European manufacturers, cars not all necessarily built within Europe. Data on www.reliabilityindex.co.uk may not appear exactly as above because, in the interest of robustness, only vehicles under a certain age and represented by a requisite number of Warranty Direct policies are included in press materials.